The best way to get to know a community is by scheduling a tour. See the facilities, meet the staff and residents, and get a feel first hand what it's like to live at Wellbrooke of Carmel Assisted Living. One of the fastest-growing communities outside of Indianapolis, the city of Carmel has kept its small town charm while earning a reputation for being at the forefront of innovation. Cozy yet cosmopolitan, it is the perfect place for Wellbrooke of Carmel; a senior health and hospitality campus for those looking to redefine senior living. Whether they choose to explore streets lined with shops, cafes, and friendly faces, or enjoy an afternoon surrounded by comfort and style on our campus, there are a variety of ways for Wellbrooke residents to stay active and engaged, every day. We know that selecting the right healthcare option to meet your needs is important. That’s why, with Wellbrooke of Carmel, you’ll find a complete continuum of care and services so you can select the level of care that most closely matches your needs and preferences. Care and support services are carefully coordinated from level to level, setting to setting, as care needs increase or decrease. 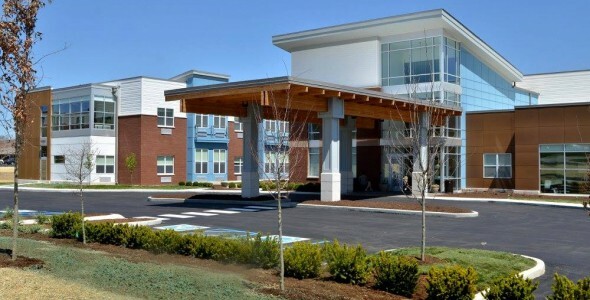 From assisted living services in our elegant residential facility, to skilled nursing and outpatient therapy services in our state-of-the-art health center, our staff of committed professionals provides compassionate care with attention to every detail. Whether for a few days, a few weeks, or for as long as you need us…It’s comforting to know that there is a source in Carmel you can turn to for help and guidance. Thank you for your interest at Wellbrooke of Carmel. Please give us a call to schedule a free tour.